Story: Alex the Lion is the king of the urban jungle, the main attraction at New York's Central Park Zoo. He and his best friends Marty the Zebra, Melman the Giraffe and Gloria the Hippo have lived their entire lives in blissful captivity, with regular meals provided and an admiring public to adore them. Not content to leave well enough alone, Marty allows his curiosity to get the better of him and, with the help of some prodigious penguins, makes his escape to explore the world he's been missing. 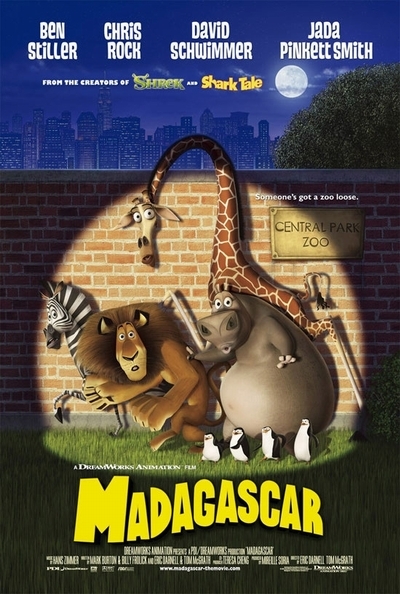 Alex, Melman and Gloria go after him, but before they can go wild in the streets, they are captured, crated and put on a ship to Africa - to be ultimately set free.